From childhood days of building model airplanes and experimenting with a chemistry set, to her corporate career which frequently involved starting new projects and organizations, creating has been a critical part of my life. Inspiration comes from flowers - part of being the daughter of a florist, and the island of St. Croix. For over 30 years, she and her husband, Steve (a devoted, hard-working supporter of the arts community) split their time between Florida and St. Croix, US Virgin Islands. Other things that turn me on artistically include world travels in the US and from Southeast Asia to the Mediterranean. Nearly every creation has a story reflected in the title. As the muses speak I may choose acrylic, graphite or watercolor media, occasionally combining multiple media. You can contact me at stxvicki@gmail.com or view art as it develops from inception to completion at Facebook.com/VKNDesigns. 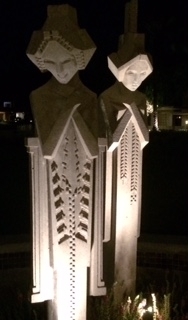 Two of Frank Lloyd Wright Sprites at night. Height 20" x Width 16" x Depth 1.2"
The sprites, originally created by Frank Lloyd Wright for the Midway Gardens project in 1913, have been recreated and grace the grounds of the Arizona Biltmore. Their grace and serenity are so powerful I had to put one in my peace garden. From childhood days of building model airplanes and experimenting with a chemistry set, to her corporate career which frequently involved starting new projects and organizations, creating has been a critical part of my life. Inspiration comes from flowers - part of being the daughter of a florist, and the island of St. Croix. For over 30 years, she and her husband, Steve (a devoted, hard-working supporter of the arts community) split their time between Florida and St. Croix, US Virgin Islands. Other things that turn me on artistically include world travels in the US and from Southeast Asia to the Mediterranean. Nearly every creation has a story reflected in the title. As the muses speak I may choose acrylic, graphite or watercolor media, occasionally combining multiple media. Works have been featured at several juried shows in the Florida Hospital Art of Healing Gallery including as Featured Artist and the Historic Sanford Welcome Center Art Walk where works were honored with People’s Choice and Judges’ Choice Awards. My creations are often included in charitable fund-raising auctions and provided to residents of SafeHouse of Seminole. Purchases and commissions are in private collections in Arizona, Florida, Kentucky, Louisiana, Maine, Maryland, Massachusetts, Ohio, Pennsylvania, Texas, Washington, Canada, Denmark and Iceland. Professional associations include Sanford Seminole Art Association, The Artists of Ponce Inlet and the Artists Guild of St. Croix. 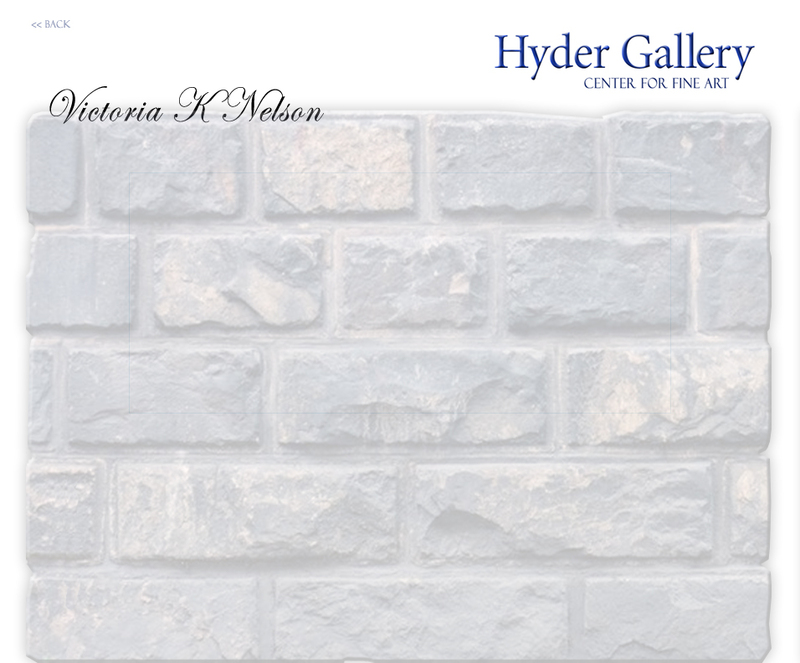 Gallery participations include Caribbean Museum Center for the Arts on St. Croix and the former Hyder Gallery of Fine Art You can contact me at stxvicki@gmail.com or view art as it develops from inception to completion at Facebook.com/VKNDesigns.